Hi-Fi your way to Health and Hygiene ! Bim, Bam, Pow, Hairy Back and Sparkle are just like any other super heroes! They save the world from the bad guys! But that’s not all that they do. 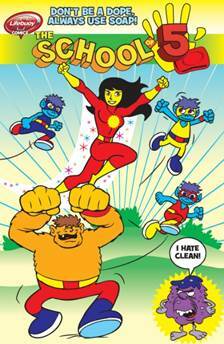 They have special powers to help children stay healthy and maintain hygiene. Welcome to School of 5 which consists of these 5 superheroes. Each of the character representing hand washing behaviour on five key occasions such as before breakfast, lunch, dinner; after using the toilet and during bath. Why hand washing ? They are most accessible health prevention tool against diarrheal diseases which claims over a million lives around the globe. The School of 5 superheroes was created by Yoe Studio with Lifebouy. Their message and stories have travelled more than 20 countries across Asia and Africa and have reached more than 120 million children. Lately their stories are being shared by a team of enthusiastic volunteers from Unilever among school children in Bangalore. Three schools administered by the state government are experiencing the joy and thrill of the adventures of the School of 5 superheros through stories and comic book reading. A four week session has been planned to bring about the change in the hand washing behaviour of 500 school children. Three sessions have already been conducted at the identified schools. The first session aimed at introducing the School of 5 characters to the children and explaining to them the relevance of hand washing on the five key occasions. Hand washing diaries or report cards were distributed so that the children’s hand washing behaviour can be monitored regularly for 21 days. Research studies have shown that it takes 21 days for a particular behaviour to transform into a habit. 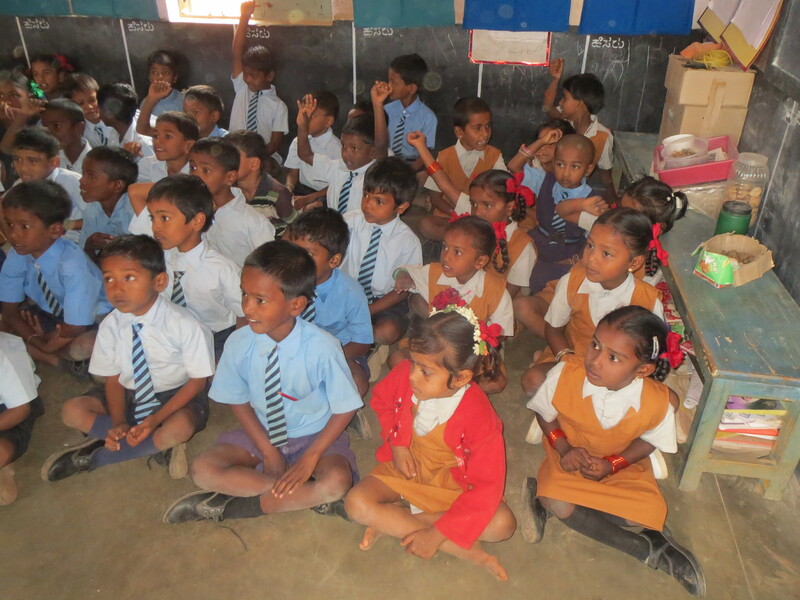 The support of the School Prinicipals/ Teachers was sought in encouraging and monitoring the children’s behaviour. The second session focussed on assessing the children’s recollection of School of 5 comic characters. Enrollment cards were given to the children so that they can encourage their families/friends/relatives to take to the hand washing behaviour. The Unilever volunteers used the Glow Germ Demonstration to showcase the children that water alone cannot get rid of the germs in the hands and that one needs to wash hands with soap for health and hygiene. 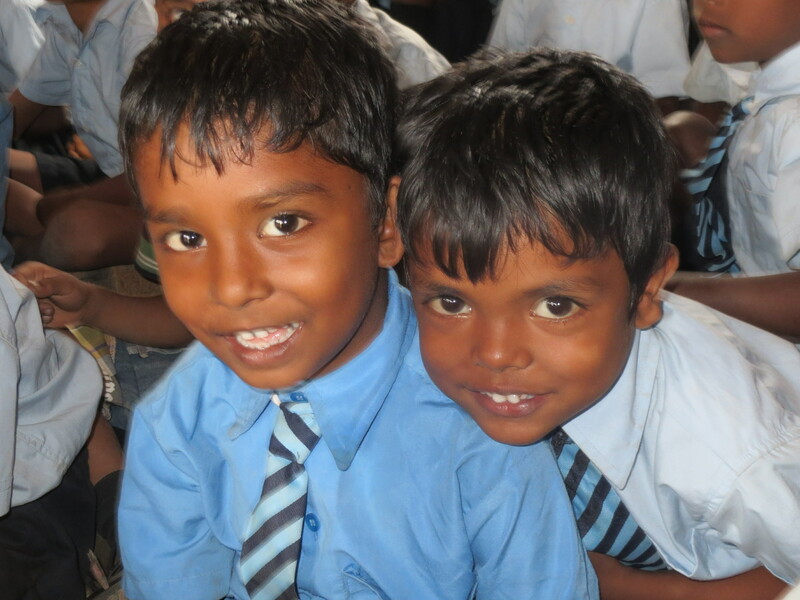 These Lifesavers will spread the message of hand washing and its health benefits for another final round of session thereby continuing their effort to keep the “No Good” – who hides soap from children and makes them sick at bay !